Let me take you back four years or so when I had these lofty ideals of us being self-sufficient on our land. The hubby would do all the gross stuff, like butchering, and I would be making soap out of goats milk and other crafty things worthy of Pinterest. 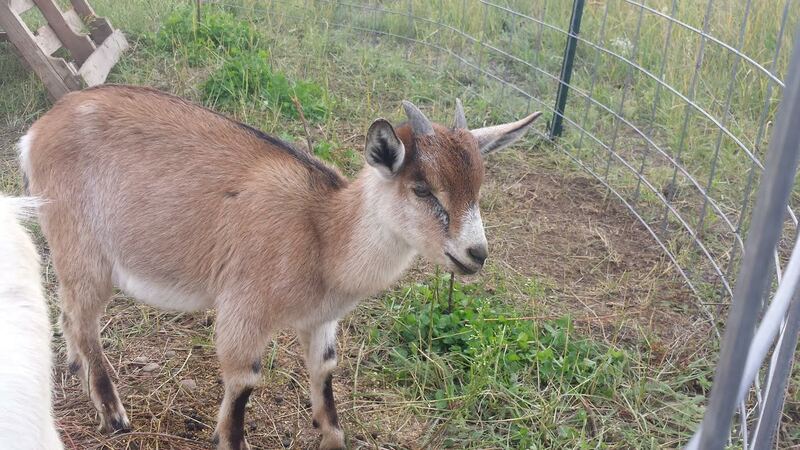 Some time after we got the land, I decided that goats weren’t for me. They have scary horns and are hard to keep in a pen since they like to jump and climb on things (as we’ve all seen on various social media posts, right?). I cannot pinpoint the exact time, but I moved away from goats, got a handful of chicks and geese, and welcomed our first piglet, Charlotte. There was talk again of a goat…this time, one in milk to feed the pig. It wasn’t the right time. Let me tell you, farming is hard work. It’s not all these pretty photographs in the magazines and blogs you see, all the time. It is cold, wet, hot, dry, smelly, and sometimes, downright disgusting. And then you make friends with some goat farmers. And then they ask your husband to help them out so they could go away overnight. 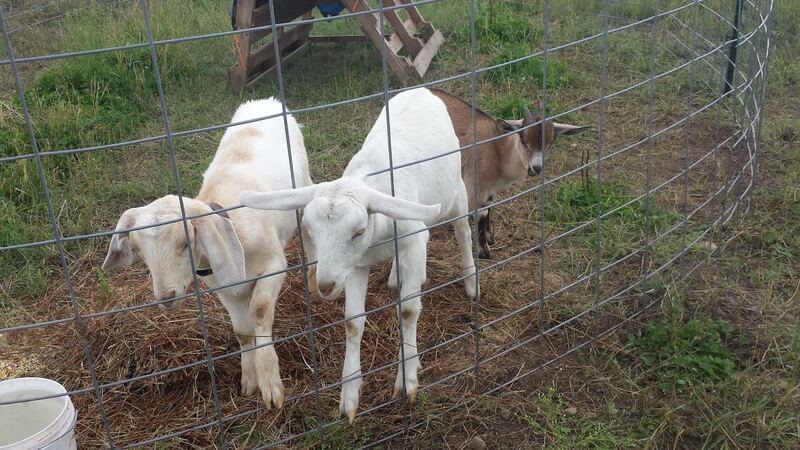 And suddenly, there’s talk of goats coming to the homestead. I wanted to say no. I may have said no. I was envisioning one more MAJOR chore to do twice a day, every day. The big day came. 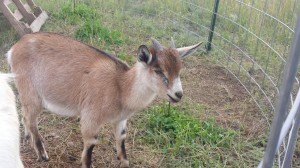 I stayed home to feed and the hubby went to pick up a goat. He pulled in and got her out of the truck. Surely by now, our faithful readers know what happens when I see a baby animal. My heart melted. She’s beautiful. So soft. Timid. And she called me Mom. Ok…maybe not really Mom so much as mmmaaaaaaam. But it melted me just the same. 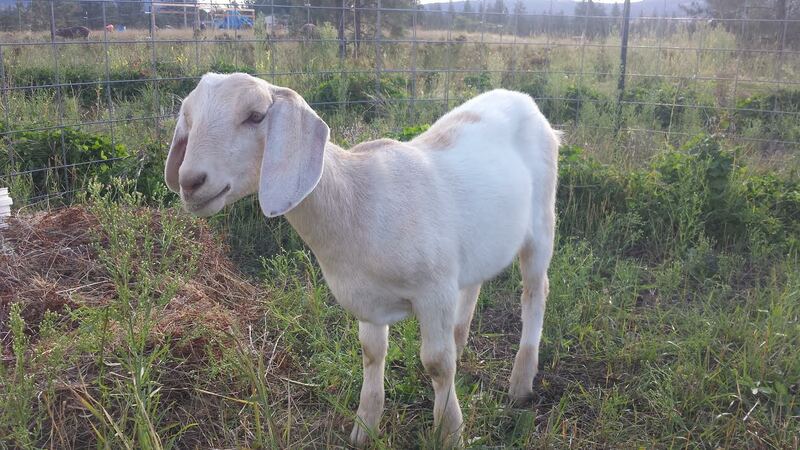 Buttercup is a Nubian and about 5 months old. Buttercup was an absolute angel except for one thing. She was getting lonely. And she called for me a lot. I sat outside with her for an hour one morning. She loved the attention, but I couldn’t sit there all day. The hubby worked his magic and we brought home two friends for Buttercup. We traded two of the piglets for them and probably got the better deal. This is Jane Doe (possibly her name, but we haven’t quite decided so I’ll attempt to be witty). 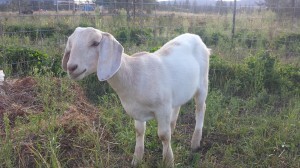 She is Saanen and Mini Nubian. This is Daisy. She’s a character-look at that grin. 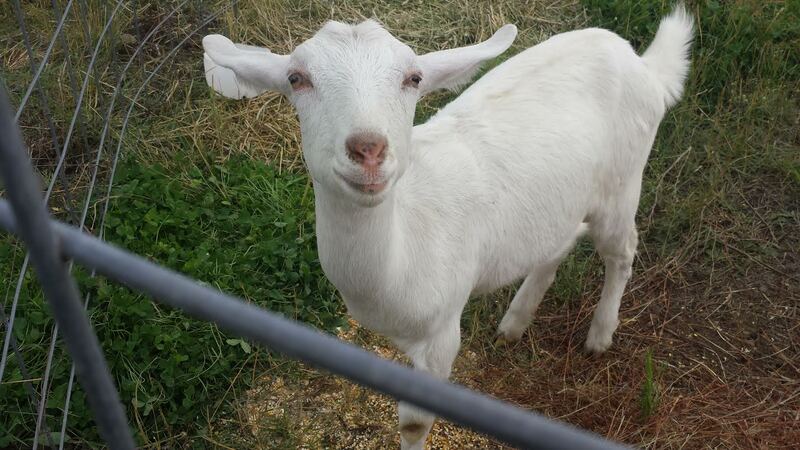 Daisy is Saanen and Nubian. Here are the three of them. They get a long really well together so far and Buttercup has stopped crying. Check back tomorrow. You just may find we have another goat addition. This entry was posted in Livestock, Poultry and Creatures Tame and Wild and tagged buttercup, farm, farming, goats, kid goats, livestock swap, nubian, piglets, saanen, trades by Charity. Bookmark the permalink.